Mediterranean cruises are so popular because of the sheer number of things to do and places to see. There are a great many port cities in Europe and Africa worth seeing if you get the chance to, and Venice is certainly one of the frontrunners and should be high on your list, if not at the very top. If you are going to Venice for the first time, it would be wise to do a bit of research on the place so that you have a better grasp of what the city is all about when you get there. Many cool cultural things have happened in Venice or been inspired by the city. 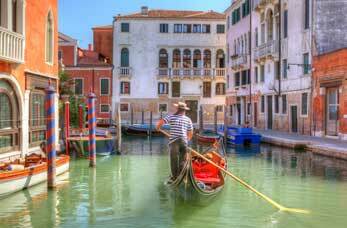 Here are some things to do with Venice that you should know about. A trip to Venice would probably not be complete without taking a ride on a gondola. They have been a main means of transportation around Venice for centuries – they have had to be! Though gondola rides can be expensive, they are definitely something you should do if you have got the chance or the money – it will be something to say you have done at least – and especially if you are going with your better half. One of the many attractive and intriguing any old city is its architecture. One of the things about the architecture in Venice is the fact that it is so beautiful and so diverse in its styles. One of the dominating architecture styles in Venice is referred to as ‘Venetian Gothic’ which, despite how it may sound, is actually heavily focused on using light colours and graceful structures. It is said that because Venice’s land has always been carefully used, that Venetian Gothic buildings were always designed in a way that meant they weren’t taking up any more space than they needed to. Venetian Gothic architecture has gone on to influence many buildings in many cities around the world – it’s amazing how many, in actual fact. These include: the Montauk Club in New York; the former stock exchange on Collins Street in Melbourne; the National Academy of Design in New York; the ‘Venetian House’ in Piran, Slovenia; the Bedford Block in Boston, USA. Even some cities in the UK are based on Venetian Gothic design! These are: Memorial Hall in Manchester; Manchester Reform Club in (yes, you guessed it) Manchester); Templeton Business Centre, Glasgow. Google them! A contemporary art exhibition that takes place every two years, the Venice Biennale is an essential for those with even the most remote interests in art. The only downside is that it only takes place every two years (on odd-numbered years, by the way), but if you can time your visit right, you will be able to enjoy the delights of this wonderful event. 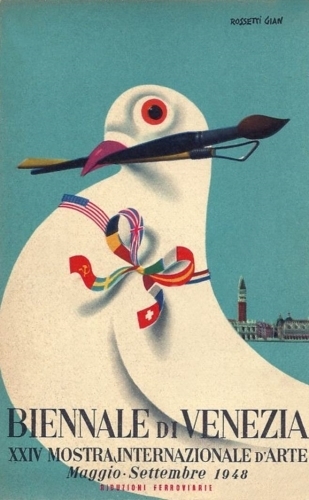 The oldest international film festival in the world, Venice Film Festival has been going since 1932. 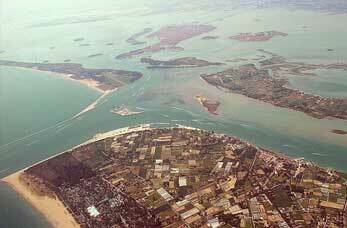 Every September, the festival takes place on the Lido de Venezia, a beautiful island which is worth going to see in itself. The Venice Film Festival is an extremely prestigious event and one is regarded as one of the most important film festivals alongside Cannes and Berlin (most important in the world, that is – not just in Europe). 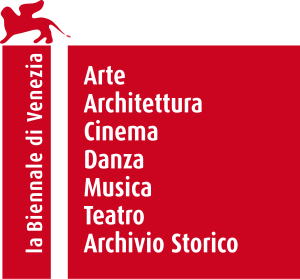 An interesting fact about the Venice Film Festival: its top prize, the ‘Golden Lion’ award, used to be called the ‘Mussolini Cup’ during his dictatorship! Exploring the wider parts of the Lagoon is a must-do for anyone visiting Venice – it is actually where the city is situated and what it is encompassed by – it has got a surface area of about 210 square miles! The Piazza has a small extension as it heads further south towards the lagoon, which you may as well go and check out whilst you are in the vicinity! Though apparently once a real party city, Venice is now much more low-key in regards to nightlife. You could probably find a few venues that are more ‘lively’ if you wanted to, but that is entirely up to what you want out of your Venetian stay. This can apply to many cities, but Venice is a great one to explore past the usual tourist areas. Go around the neighbourhoods which are a bit further out than all the busy places – they will be packed with locals and could give you an insight into Venice that you never would have seen had you stuck to the centre and the more obvious attractions. It depends how much time you have, but it is certainly worth seeing Venice’s more understated side if you can do. If there is one bar you go in whilst in Venice, make it Harry’s, where you can find at Calle Vallaresso 1323 – make a note of that! It has an extremely touching backstory and is still open to this day after 80 years. Giuseppe Cipriani was a bartender who worked in the bar in the Hotel Europa in Venice. A young and wealthy Bostonian barfly by the name of Harry Pickering was a regular in the Hotel Europa bar. All of a sudden he stopped coming in and Cipriani enquired as to why that was, and Pickering told him it was because his family had found out about his binge drinking and had thus decided to cut off his funds. Feeling sympathetic towards Pickering, Cipriani loaned him 10,000 lire. A couple of years later, Pickering returned to the bar to give back the money he had borrowed and gave Cipriani an additional 40,000, saying it was enough to open his own bar – Harry’s Bar. What a nice little story that is, eh?! If you are ever in Venice, be sure to go and give Harry’s Bar a look at least once – it is a national landmark (literally). Over the years it has served as a watering hole for a great number of notable and influential people: Ernest Hemingway (who surely you have heard loved a drink, to say the very least), Truman Capote, trail-blazing filmmakers Orson Welles and Alfred Hitchcock, art-collector Peggy Guggenheim, Charlie Chaplin, Humphrey Bogart, Barbara Hutton – loads of famous figures. If you are into classic writing or American literature, you may well know that Ernest Hemingway was very fond of Venice and frequented the city several times, perhaps a little more than the rest of the abovementioned people. Hemingway had a fascinating life and he loved Europe. In the First World War he enlisted in to become an ambulance driver on the Italian front, and he seemed to always have a thing for Italy, despite living in Paris, Spain and various other parts of the world and the USA too. 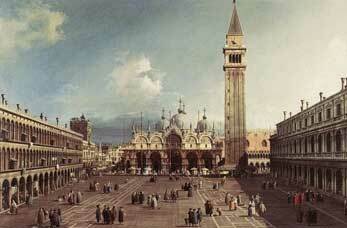 His penultimate novel, Across the River and Into the Trees, in fact, was actually set in Venice. Hemingway had visited Venice in 1948 for several months with his wife Mary, and whilst there he went and fell in love with a 19-year-old Venetian girl called Adriana Ivancich (textbook Hemingway behaviour). This love affair was the basis of the novel, which he wrote over the course of the next couple of years and released in 1950. It tells the story of an ageing American colonel called Richard Cantwell who is stationed in Italy just as World War II is coming to a close. Most of the book is set in Venice and is concerned with a love affair Cantwell has got himself involved in with a local girl called Reneta. It is blindingly obvious that Hemingway quite obviously based these two protagonists on himself and Ivancich. If you are planning on going to Venice, definitely give Across the River and Into the Trees a go – it is not too long and is an intriguing read. It is considered by many to be Hemingway’s worst novel, but that isn’t to say that it’s not still very good – it is probably better than anything most of us could ever hope to write! 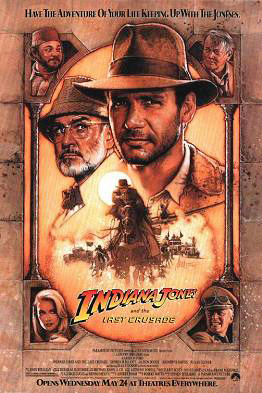 It received quite a large amount of criticism upon its release and still is not considered one of his best, but since his death it seems to have become a little more accepted as a decent piece of work and is valued because it provides us with a better understanding of the way he was feeling at the time. 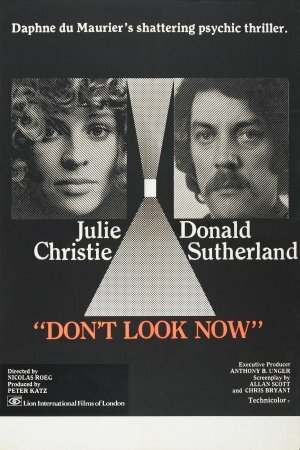 Definitely one that you’d class as a ‘cult’ film, Don’t Look Now is probably best described as a psychological thriller with a splash of horror, and in many circles it is considered an indisputable and influential classic. Its director, Nicolas Roeg, is known for making strange and distinctive films – Performance (1970), Walkabout (1971) and The Man Who Fell to Earth (1976) – and Don’t Look Now certainly falls under that bracket. When you consider it is over 40-years-old now, it really is quite a remarkable movie. The lovely Julie Christie and a heavily-moustached Donald Sutherland star as a married couple who decide to take a trip to Venice after a family tragedy to clear their heads. As you can probably tell it is not the cheeriest of films but even so it does really make you want to visit Venice: it’s beautifully shot and there are several parts which portray the city of having a mesmerisingly labyrinthine layout. The dark alleyways and Gothic architecture are also prominent features of the city that Roeg takes full photographic advantage of. Don’t Look Now features a prominent scene inside a church – the San Nicolo dei Mendicoli – which is located in Dorsoduro, a Venetian neighbourhood which is higher up than the rest of the city. 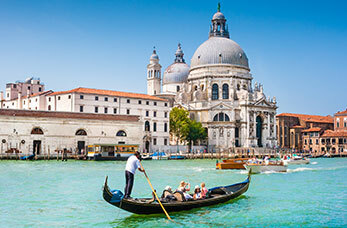 It is definitely worth checking out if you are going to Venice – it is beautifully decorated and unmistakably Italian. Certainly a bit more of an easy-going one, this final installment of the trilogy (can we please pretend that the fourth one does not exist?) features a few scenes in Venice, notably a nice speedboat chase on the Grand Canal. The exterior of the library for the scene that precedes said chase (you remember – the where they find the knight’s tomb underneath) was shot in Campo San Barnaba, a square in the city, which is definitely worth a look around. A lot of this first Daniel Craig Bond installment was set in Venice – most of the ending, in fact. Casino Royale also features a good old chase through Venetian waters like the abovementioned Indiana Jones film, and as it’s the most modern of the films mentioned hitherto it gives you a good idea of what Venice looks like today – glorious! Well, minus the violence that occurs, anyway. Another interesting point, actually: one of the hotels Bond stays in is the Hotel Cipriani – which was founded by the same Sig. Cipriani who founded Harry’s Bar! 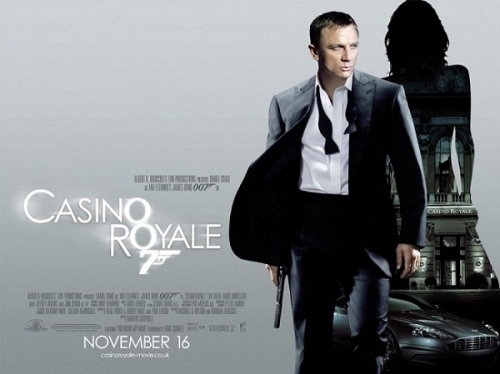 Casino Royale is a very good advert for Venice, as it definitely makes you want to visit it… Not that it needs much help in that department. If You Can, Visit Cannes!